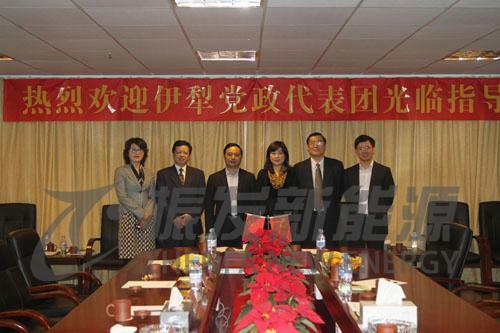 November 28, Li Xuejun, party secretary of Ili, Xinjiang headed to visit our company, along with Ili government delegation. Chairman Mr. Zha and other company executives received the guests. The two sides have a warm talk about accelerating the Ili photovoltaic industry development during the Twelfth Five-Year Plan. Chairman Mr. Zha made a simple introduction about the development of company, proposed development planning and implementation steps in Ili. Party secretary Li Xuejun welcome Zhenfa invest Ili and will try their best to help Zhenfa.